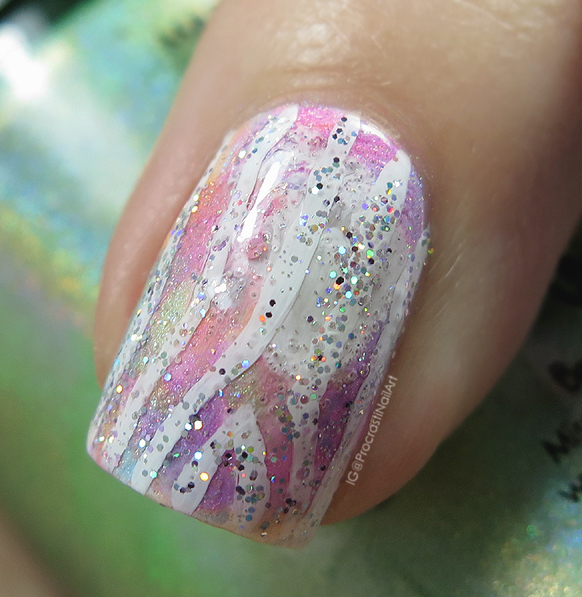 Nail Art // The Digit-al Dozen Does Birthdays: Unicorn Wood for October! Every month the Digit-al Dozen shows appreciation for the bloggers in our group who are celebrating birthdays by having them choose a picture that we all create a manicure based off of. 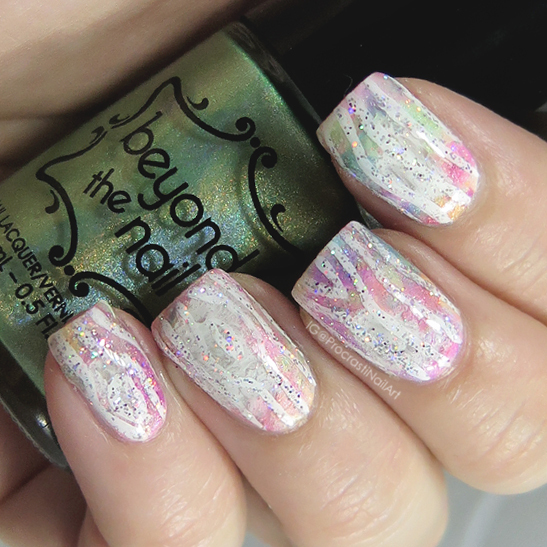 This month we celebrated Amber (Nails Like Lace) and she chose an AMAZING picture of what we are joyfully calling "Unicorn Wood!" So this is the picture we had to work with. Isn't that friggen gorgeous?! Man if I could have all the furniture in my house made out of this I would do it in a heart beat! I decided to just sit down with this pic and start creating without any plan in mind. And this is what I ended up with! Once my base was dry I knew I had to bring in another component. I decided I was going to focus either on the idea of a unicorn, or the idea of wood.. 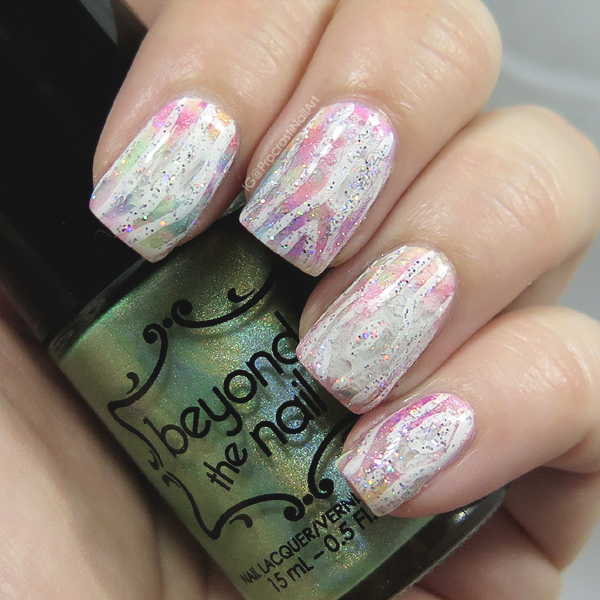 Since all the pastel gorgeousness in the base is unicorn-esque I went with painting a white bark design with my Art Club White Liner. But why stop there! I then covered the white lines with polish from an Art Club Glitter Liner and then covered the whole thing with China Glaze Fairy Dust because WHY NOT. Pastel + holo + rainbow + white + YES. I'm super in love with how these turned out! I agree! 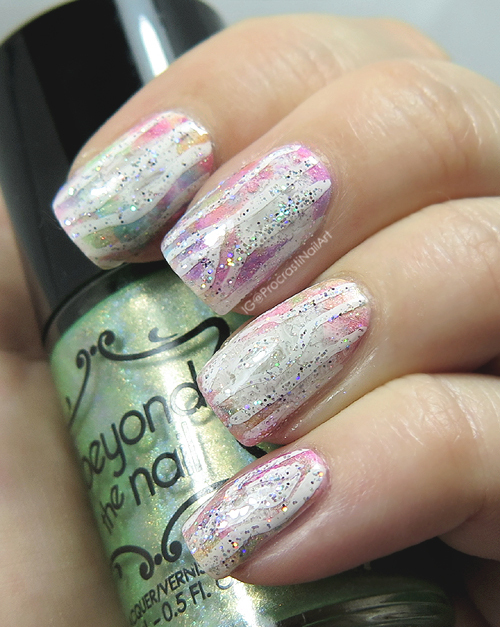 Pastel and holo and rainbow and white and heck YES! This nail art is gorgeous, but I need to get my head out of the gutter. 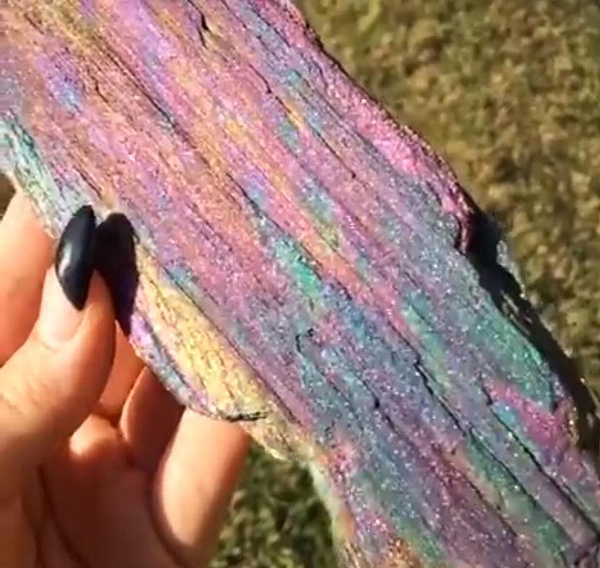 This is not what I expected when I read "unicorn wood!!!!" This is so pretty!! I've never heard of unicorn wood before, but you did such a great job with your interpretation of it. That wood is beautiful and your mani is perfect for the interpretation! I love how sparkly this is!